Many excellent role debuts led for an exciting performance of Don Quixote with Martina Arduino and Marco Agostino bringing the house down. There was a buzz in the air at La Scala for the last in the short run of Rudolf Nureyev’s Don Quixote. Martina Arduino was to dance Kitri for the first time. Since Alexei Ratmansky pulled her out of the corps to be his Odette/Odile when she was 19, (just a year after graduating from La Scala’s ballet school), she has made several remarkable role debuts, but none has seemed so perfect for her personality and technique as Kitri. In the Gramilano review of that Swan Lake, almost exactly two years ago, I called her a ‘protostar’, defined by NASA as the “hot core at the heart of the collapsing cloud that will one day become a star”. That is what she has become, and the question mark I employed in the headline — “Martina Arduino in Ratmansky’s Swan Lake: a ballet star is born at La Scala?” — can be taken away. 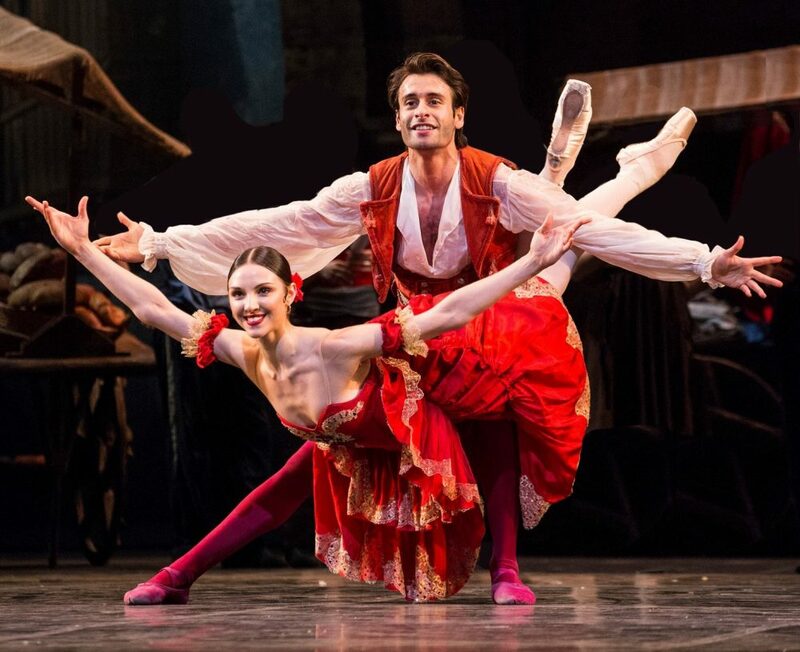 A ballet star was born at La Scala that evening, and as Kitri she’s proved it. With just one piano run-through behind her, she burst onto the stage as though the role was already her international calling card, something it surely will be. Her communicative face with coruscating eyes and a mischievous, flirtatious grin engaged with everyone around her. She was on fire. Energetic in her movements, though not tomboyish, she burnt a trail across the stage, owning it instantly, yet this was the first time she had danced Kitri in front of an audience, and the second time on stage. An outstanding achievement. Arduino showed interpretive intelligence with her playful public relationship with Basilio being utterly different from the warm intimacy of their night together between the windmills. Her good-humoured teasing of Basilio contrasted with her slightly spiteful way of tormenting Gamache and was different again from the petulant attitude towards her father, yet her kindly attentiveness to Don Quixote. Her Dulcinea was serene and ethereal. Technically, Arduino is strong and musical, and even for this first outing she managed to play with the choreography’s dynamics. It wasn’t a perfect performance — she found a little difficulty with the passé-arabesque sequence in Dulcinea’s variation, which she saved admirably — but a masterful, convincing and winning one. There was more excitement in store. Marco Agostino was dancing Basilio for the first time. After a not particularly striking performance as the toreador Espada in the opening night cast, he was a superb Basilio — cheeky yet virile. There was a fine-tuned intention between him and Arduino and the comedy between them worked seamlessly. He had just the right twinkle in his eye during his playful flirting with Kitri’s two friends, and Arduino gave him a very determined prod with her fan to warn him not to go too far. Agostino handled all of Nureyev’s delightfully eccentric steps with apparent effortlessness, and up to speed too, which must have given conductor David Coleman a lift. He even created a couple of moments to make the audience gasp, such as when his attitude turns slowed and slowed until he remained still on demi-pointe. It was an outstanding debut. Nicola Del Freo was an exciting Espada. He is a precise and elegant dancer who keeps getting better and has a handsome face which gave his bullfighter lots of macho allure. Maria Celeste Losa, who was somewhat disappointing as the Bridesmaid on opening night, was on excellent form as the Street Dancer, showing off her customary flair. In an evening full of debuts, Gaia Andreanò was a delightful and technically secure Bridesmaid, and the beautiful Caterina Bianchi was promising as the Queen of the Dryads. Agnese di Clemente was a lovely, spirited Cupid. Marco Messina was Gamache, which he played with a subtle sensibility and spot-on comic timing. Frédéric Olivieri, director of the ballet company, was taking a risk putting on so many young dancers in debut performances, but he’s showed he knew exactly what he was doing. Chapeau! I saw this performance. They were fantastic. I didn’t know it was their first time to dance these role. Wow. Complimenti!!! Would love to see them one day – young and full of things to say (you can see it in their faces). Maybe during a tour of La Scala to New York? Please? Ciao. Ahhhh… this was one of those special nights; I wish I could have seen it!